It isn't often I venture too far out of London these days. 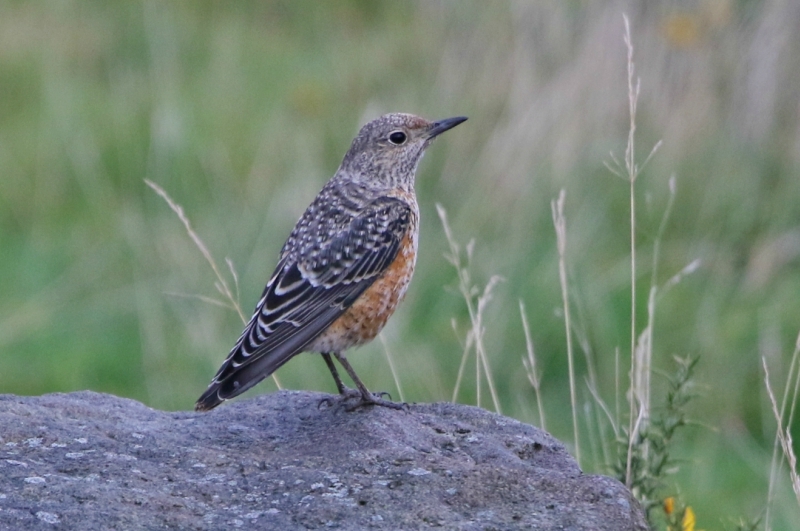 But given that it was over two decades since I saw my last British Rock Thrush, as well as fairly poor local coastal potential, a quick trip along the M4 and into Wales was in order. 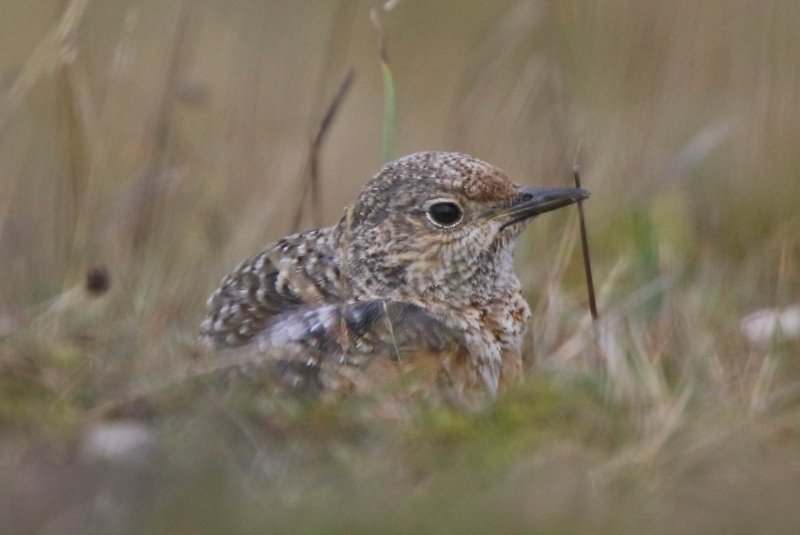 Dante, Josh and I set off at a very reasonable hour and arrived on cue - just as the male Rock Thrush was relocated. The bird favoured a fairly spectacular setting at Pwll Du quarry, Blorenge, Gwent and was pretty active on the grassy slopes before headed up onto the rocks later in the morning. It was a really good bird, much better than I'd been expecting and despite the gloom, it showed nicely. I'd also never seen a Rock Thrush in autumn anywhere, so that added interest and I still need to do a bit of reading up on ageing but with the reddish underparts, defined pale mantle patch and what seemed like rounded tail feathers, I guess the adult prognosis must be correct. With little else to do locally, we headed back towards London late morning as the tide was favourable for a bit of Thames gulling. 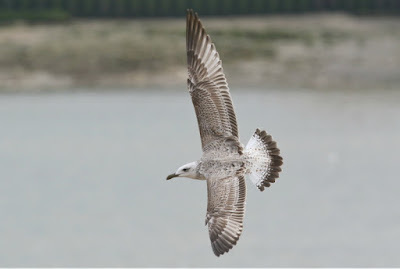 Having dropped Josh off at Hammersmith, Dante and I headed east to Thames Barrier Park where we met up with Jamie P. Within an hour, there was our seventh Caspian Gull of the season (1st July to 30th June) and it was a German ringed 1st-winter. 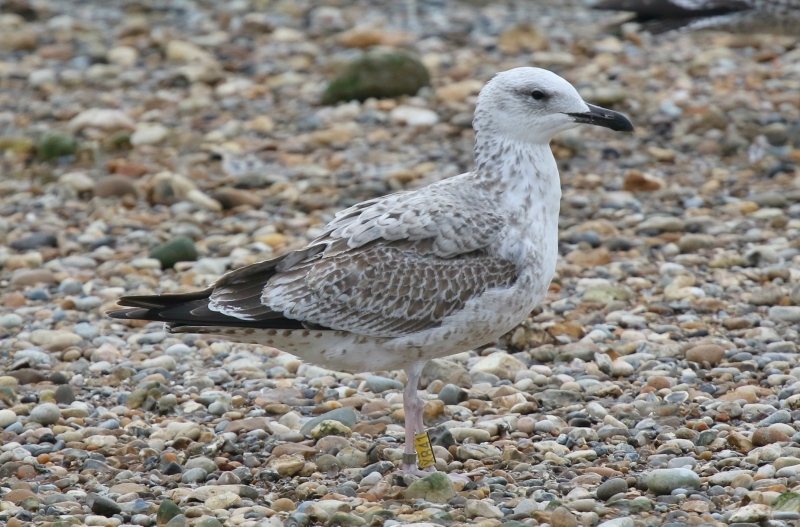 Not a bad bird at all, especially given it was from the infamous 'swarm' colony at Grabendorfer See, Brandenburg where it was ringed as a chick on 29th May this year. There were also three Yellow-legged Gulls about too, an adult and two first-winters. Decent first half Rich! The second leg I'm not so sure!